I felt very excited to teach Small Science. 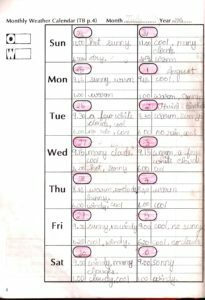 I found that students were very eager to do the activities, but when it came to recording their results they were not so eager. 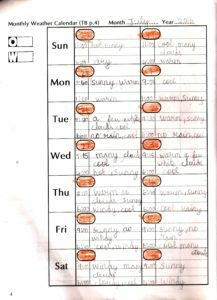 Especially the activities on weather and watching the moon’s phases are a challenge, as students have to record their observations daily over a week or a month. I found that they did it for a few days but then got bored. 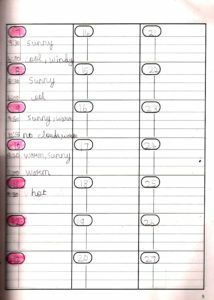 Ms. Jayashree suggested that we make a weather chart for the entire class and assign days for each student to fill. 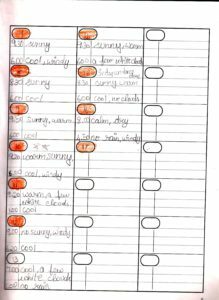 This way they would share the recording responsibility and each student would find it easier to update their own weather calendar. It worked for a few more days. 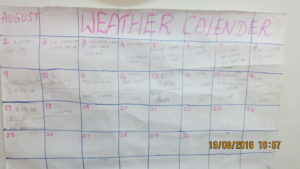 Students were eager to note the weather on their day and to write it on the chart, but sometimes they forgot. To make it more interesting we also made a weather clock. 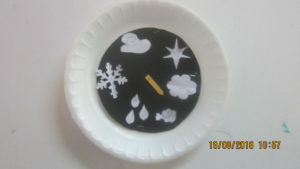 In that weather clock, I drew the symbols for weather. Students had to turn the needle according to the weather of the day or a particular time. On rainy days they especially enjoyed using that clock and got to know that weather keeps changing even within one day. 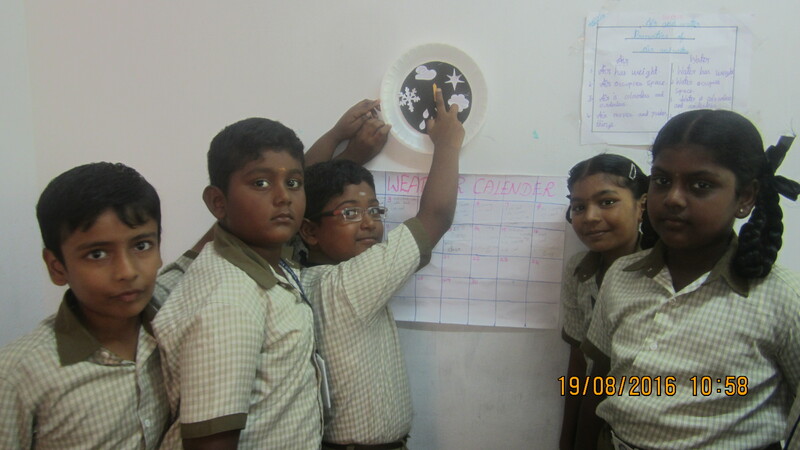 This activity improved the students’ observation and focus and enabled them to learn the concept easily from their personal experience.